"Clean room and pleasant staff. 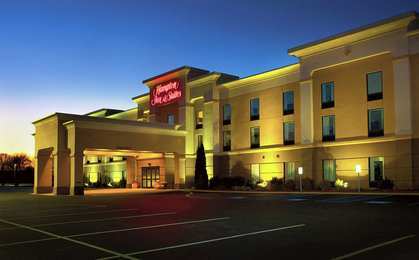 I'd recommend this hotel to family and friends.2018-07-03"
"Great value. Nice, clean hotel room and comfortable beds. We enjoyed the pool and whirlpool. Breakfast was convenient and had something for everyone. Our stay was extremely pleasant.2016-05-24"
"Worth the price. The hotel room was clean and comfortable, and breakfast was good.2015-05-11"
Learn more about Mill Hall Hotels & Motels in our Mill Hall Hotels Guide.